KeeeX joins LaBChain, the first European Blockchain consortium! Dedicated to Blockchain technology, it brings together today bankers, asset managers, insurers, mutualists, start-ups, industrial companies and associations. 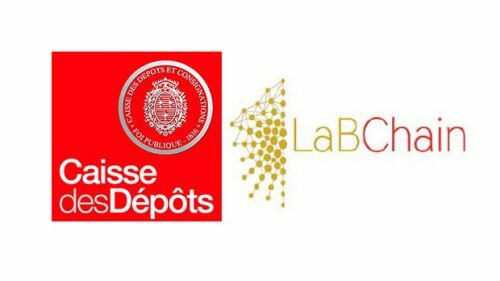 Created by the Caisse des Dépôts in December 2015, LaBChain is an innovation laboratory dedicated to distributed ledger technology. It aims at factoring exploration approaches and collectively anticipating the opportunities and impacts of this technological breakthrough. This initiative supports the development of the French ecosystem in Blockchain technology by organizing its work around partnerships between large groups and start-ups. – a “Do Tank”, where each partner provides resources to identify and prototype, in agile mode, possible implementation scenarios of this technology, and shares concrete and feasible use cases implemented by one or more of the Blockchain stakeholders. Today, several experiments (POC) have been carried out or are under way, notably on digital identity and KYC or the collateral securities management. – a “Think Tank” to answer the questions raised by the work of the “Do Tank” and to improve the understanding of the stakes of this technology, in connection with institutional regulatory partners.